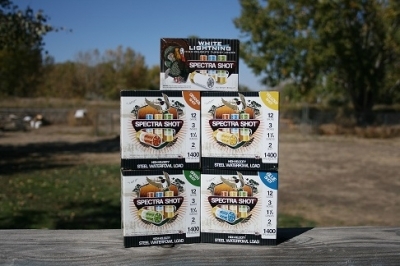 Montana Test.com - Results for: Spectra Shotgun Shells! Tested! Will shoot again this fall season! Yellow shot from a three inch 2 shot! 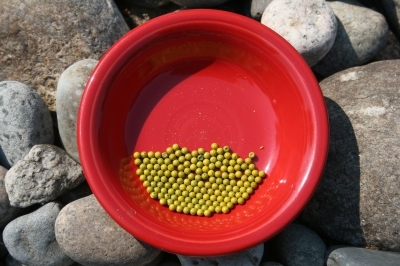 We shot the Spectra Shot™ the 2012 waterfowl season and it hammered the ducks. We wanted a picture of the shot inside a duck and we tried. As we cleaned we could never find the shot inside we will try again this season. For stopping power it performs and we have absolutely no complaint. Stay with us as we shoot again this fall. Competition occurs between most hunters. If the entire group in the blind shoots at a banded bird, with Spectra Shot™ the real proof of the owner of that band will be within the cavity of the bird. The truth will then be known.